Make sure that you’ve properly connected the cables to your PS VR, PlayStation®4 system, PlayStation®Camera, and TV. If the PS4™ system screen does not appear on both your TV and VR headset, check your connections. For details, refer to the Quick Start Guide supplied with your PS VR or the Step-by-step setup guide. For best results, position yourself 1.5 m – 2.0 m (4.9 – 6.6 ft) from the camera. Adjust the height, direction, and angle of the camera. Play directly in front of the camera. Make sure that bright light from windows, mirrors, or room lighting does not shine into the camera. Avoid pointing the camera at light-emitting devices such as computer monitors. Clear an area larger than the Play Area of all obstacles before using PS VR. It is recommended that you charge your wireless controller ahead of time, then disconnect the USB cable before play. You can continue to wear your glasses while wearing the VR headset. When adjusting the scope position, move the scope slowly so that the internal lenses and your glasses do not touch each other and become scratched. Depending on the size of your glasses and the shape of your head, the lenses may come into contact with your glasses. Enjoy virtual reality content designed exclusively for PS VR and other compatible VR content in 360-degree, omnidirectional video. You can identify these types of content by looking for (PlayStation®VR) on packaging or on the appropriate PlayStation™Store page. *1 Even if your TV is HDR (high dynamic range) compatible, the [HDR] setting in (Settings) > [Sound and Screen] > [Video Output Settings] on the PS4™ system is [Off] when CUH-ZVR1 is connected. *2 When CUH-ZVR1 is connected to a PS4™ system, the video signal from the system uses the YUV420 color format only. *3 Frame packing (50p, 720/60p, 1080/24p), top-and-bottom (50p, 720/60p, 1080/24p), and side-by-side (1080/60p, 1080/50p) formats are supported. *4 When you're playing a Blu-ray 3D™ disc while PS VR is connected to a 2D TV, you can press the OPTIONS button, and then select (Settings) > [Display in 3D with VR Headset]. *5 Also, audio will not be output from your TV. Connect headphones to your VR headset. 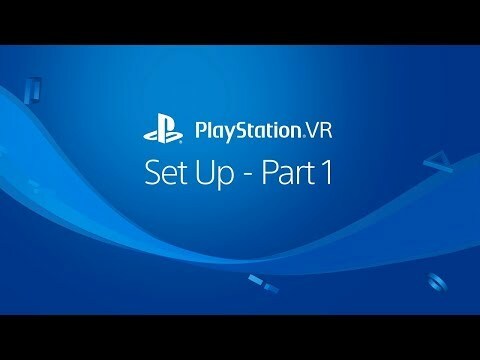 How to get setup with PlayStation VR. An interactive Troubleshooting Guide to help get you back to enjoying PlayStation VR. Some helpful tips and tricks on how to get the best possible PlayStation VR experience. How to look after your PlayStation VR Headset and Processor Unit. Information about the PlayStation VR Processor Unit Indicator Light. How to setup your PlayStation Camera for use with PlayStation VR.